Pick up your nets, let’s go on a hunt for a giggle poem! Magic Fish Dreaming takes us on a spellbinding poetic quest through Australia’s richly diverse Wet Tropics. Each enchantingly illustrated page draws us into the fun of looking, listening and learning about the world around us. These are poems for children and adults to share, delighting in the power of language and coming alive to our own special places, wherever they are. children’s activity sheets available. Paperback. Target Age Group 5-11 years but suitable for all ages. Supporters include Write Links, Inspiration Garden, and various people from around the globe and Australia believing in Unity in Diversity and the Role of the Arts in fostering Unity in Diversity. Will be for sale at Riverbend Books after October 30th– more outlets being announced soon. Luminous and jubilant, Magic Fish Dreaming explores an imaginative world of rainforest and cassowary, the flicker of geckos and the roll of quolls. Whimsical poems and exquisite images invite readers to venture into vibrant, magical places, rich with stories and legends. Like the work of Michael Rosen and Shirley Hughes, images and words combine to evoke the textures and spirit of landscapes. Here, though, it is a vibrant Australian world readers discover, one alive with the colour and energy of nature and many cultures. Magic Fish Dreaming is a quest of the most wondrous kind, entreating young readers and old alike to venture forth into nature and their imaginations. It is an invitation to spend time with the ancients and experience a taste of country through lyrical poems and haunting illustrations. Pulsing with colour and movement, Magic Fish Dreaming pays homage to nature in all its glory; an anthology of verse for children that resonates the very essence of our diverse people and wildlife. These whimsical and lusciously evocative poems are subtly imbued with wisdom, and steeped in story. In playful language, June Perkins takes traditional forms of rhyme and rhythm, twisting and weaving them into inventive new patterns. Helene Magisson’s delicate illustrations are luminous – the aesthetic interplay between this rich text and these elegant images is a sheer delight. June Perkins, a Papua New Guinean Australian world citizen, has been writing, performing and publishing poetry in Australia and the Pacific. Her family settled in Tasmania when she was one year old. She has a Ph.D. from the University of Sydney on the topic of Writing Empowerment and has published two books, Under One Sky (2010) and After Yasi, Finding the Smile Within (2013). In 2008, after moving to Far North Queensland, she coordinated Ripple, a community project for multicultural groups and schools to celebrate poetry and photography and began writing some of the poetry that would become this book. 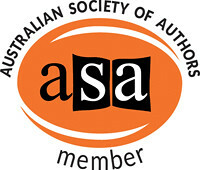 In 2016 she won a mentorship for writing picture books from the Australian Society of Authors, and has been working on picture books and a young adults novel ever since. She is a member of the fabulous Write Links and several other organisations that support writing. Helene Magisson graduated from the painting restoration school “Art et Avenir”, Paris (France). She was trained in the art of medieval illumination, exhibiting her work in Europe and teaching the history and techniques of medieval miniature in primary and high schools, both in France and in India, where she lived for a few years. When Helene settled in Australia, she decided to start a new career in children’s book illustration. Her numerous trips in Europe and Asia, as well as her childhood spent in Africa, inspire and enrich her work. She has illustrated, The Velveteen Rabbit by Margery Williams Bianco and Night Before Christmas (to be released later this year) for New Frontier.